Jonathan Cooke grew up in and around airports, but never actually touched a rivet until he was hired by the Canadian Forces as an Aircraft Structures Technician at Trenton Airbase. Now, he combines his aircraft knowledge with a unique creativity in his new business Avro Fabrication. Two years ago, while going through the aircraft structures technician program, John celebrated the birth of his first daughter. 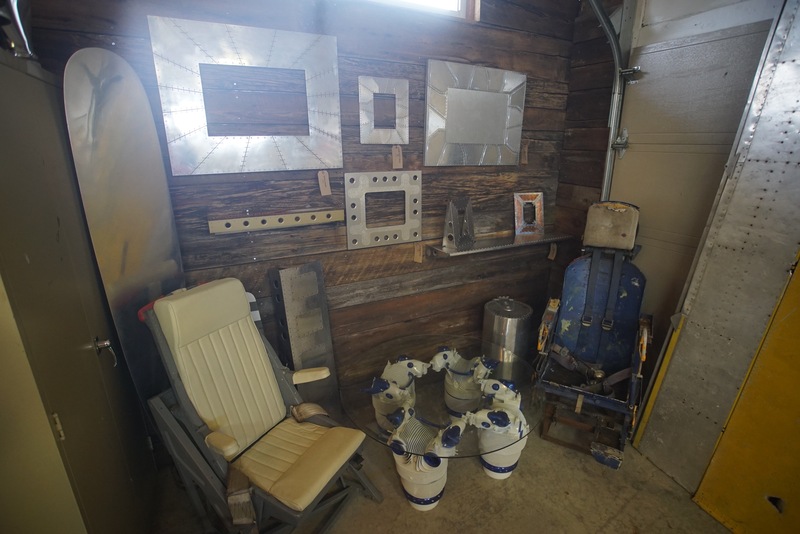 The proud new dad built his daughter a quirky aircraft-themed shelf in his small workshed. So many people admired his creation, he built a whole lot more, and opened a little shop. In the beginning all he had was a tool bench in his five-by-ten-foot shop. 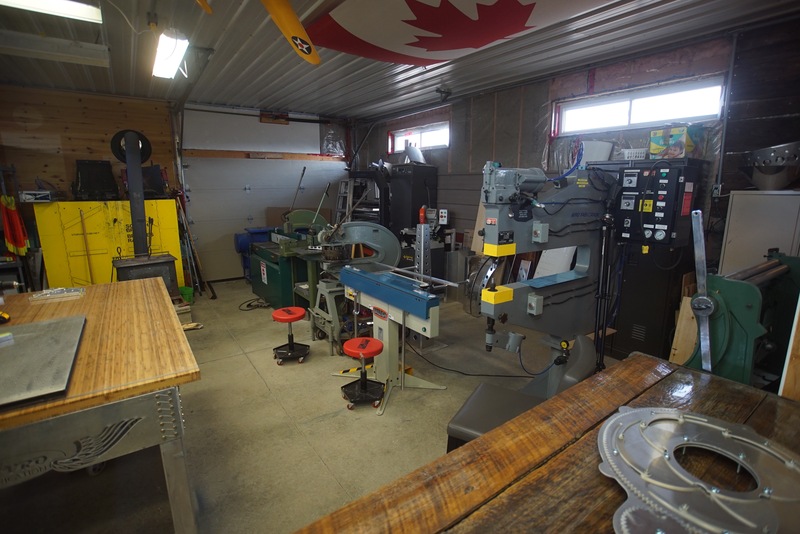 When his wife treated him to his first real machine, his enthusiasm and ideas expanded and as he sold more work he was able to buy more tools and machinery. 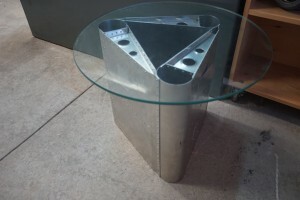 Who knew aircraft inspired furniture and accessories would be so popular? When his work began selling as far away as Nova Scotia, Jonathon and his wife decided to move out of military housing and find a permanent family home, within easy reach of the Trenton base. They found the perfect place, with a much larger workshop in Consecon, the quiet north west corner of Prince Edward County. They had no idea they were moving to a flourishing creative, culinary and wine region, but they soon found out. Jonathan says “Our family was like, ‘Woah, you moved to Prince Edward County? 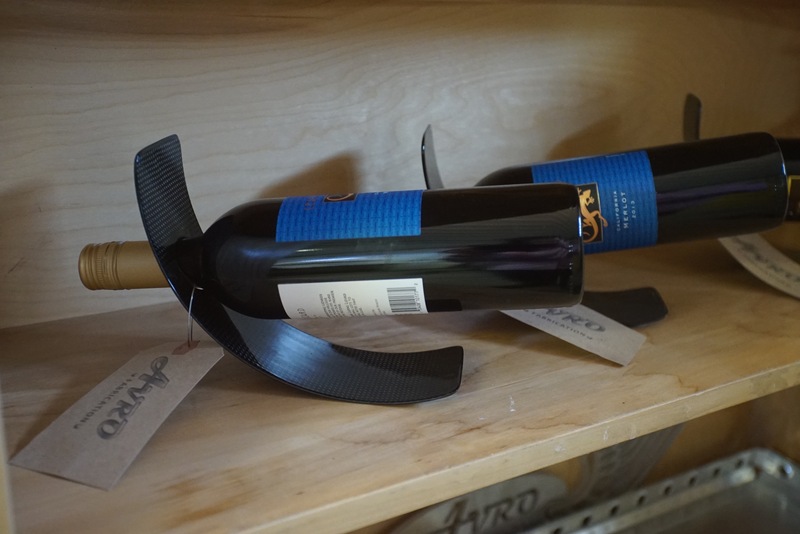 !’ and I didn’t know what was the big deal.” He didn’t know then that The County was gaining global recognition and awareness of its burgeoning wine industry, rustic rural charm and thriving artist community. But it turned out to be a great place for a business like Avro Fabrication. Most of Jonathan’s pieces include only one or two recycled parts from aircraft. There just aren’t many old airplanes and parts stored in Canada, so he builds authentic-looking parts from scratch for his stylish coffee tables, chairs, lamps, picture frames, wine holders – even too-cool garbage cans. He sells from his shop and online and builds custom items, too, and explains why his work is unique. “I’ve still got limited production equipment, and there’s really only one way for me to build these things. My way.” He has a great eye and passion for his work and says he’ll keep building his designs whether they sell or not. “We’ll just fill our own house with my creations,” he says with a grin. That’s unlikely. If all goes to plan his creative work will be his full time job and Jonathon will have what the growing ranks of County entrepreneurs are after: more time with his expanding family, a good country lifestyle and the freedom to do his own thing. Despite his creativity, John doesn’t really identify as an artist. Nonetheless, Avro Fabrication is a welcome addition to the 2016 Arts Trail although he still maintains this was purely by accident. He really thinks that others regard him as more of an artist than he does. They say it’s in the eye of the beholder, and whether you call him artist, craftsman or aircraft structures technician, Jonathon Cooke undeniably makes very interesting stuff. 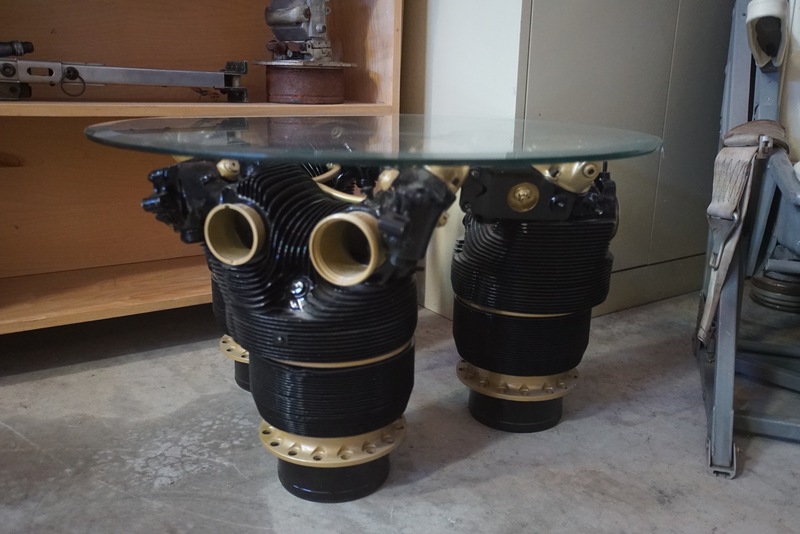 Check it out on the Art’s Trail website or his own Avro Fabrication site to see more of Jonathan’s creations and find his contact information.